"The machine grows with the needs of the companies. This flexibility makes companies ready for the Industry 4.0 era, in which production environments must become more agile." The ILR-2200 will be available from mid-2018. 01/23/19, 08:27 AM | Industrial Robotics, Factory Automation | SCHUNK Inc.
SCHUNK Electronic Solutions brings the ILR-2200 to market: It is a fully automatic inline depaneling machine that separates individual printed circuit boards from a large PCB panel using a milling module. The machine has a modular design, and is the first of its kind in the world. "Electronics producers buy a cost-effective basic version and can retrofit the machine at any time with milling and gripping modules, a camera system, or a second, or even a third, printed circuit board handler that minimizes dead times," explains Jochen Ehmer, Managing Director of SCHUNK Electronic Solutions. "The machine grows with the needs of the companies. This flexibility makes companies ready for the Industry 4.0 era, in which production environments must become more agile." The ILR-2200 will be available from mid-2018. ILR-2200 users benefit from short cycle times. The panels reach the machine's interior in less than two seconds via a linear motor high-speed feed. There, a milling module separates the PCBs with an accuracy of +/- 0.1 mm. Due to the linear motor axes and modern control technology, the modules achieve a traverse speed of two meters per second when milling and ten meters per second when sawing. The separated PCBs are placed on a conveyor belt or in a shuttle system by a gripper to be transported for further processing. 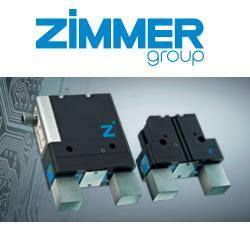 The gripper works with a programmable angular position and achieves positioning accuracy of +/- 0.02 mm. This corresponds to a third of the diameter of a human hair. This accuracy ensures that sensitive components are not damaged. As milling and sawing are simultaneously active in one depaneling machine, it is unique on the market. "Through the eliminated set-up times and maintenance-free linear motor axes, the production flow rate increases," says Ehmer. Users also benefit from fail safe operation and low energy costs. "The ILR-2200 depaneling machine has a proven technical availability of over 98 percent," according to Ehmer. "And the power consumption of a two-shuttle version is only 800 watts - hardly more than the energy consumption of a microwave."